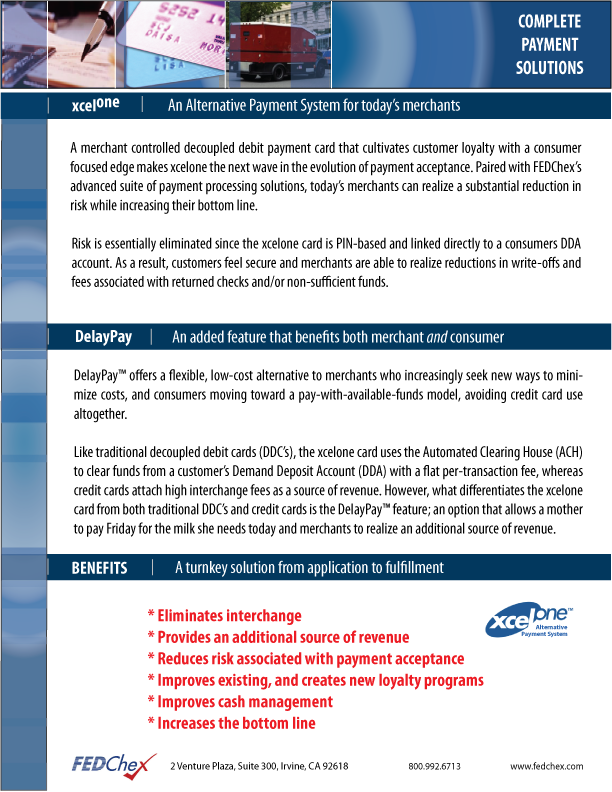 FEDChex's alternative payment system is a merchant controlled card that cultivates customer loyalty with a consumer focused edge, making xcelone the next wave in the evolution of payment acceptance. Paired with FEDChex’s advanced suite of payment processing solutions, today’s merchants can realize a substantial reduction in risk while increasing their bottom line. The process is simple. The card is issued at the store with a quick and easy sign up; saving time, postage and fulfillment expense. Because the xcelone card runs on the ACH payment rail, interchange is completely eradicated. This means that those interchange fees now contribute to the merchant’s profit margin rather than the banks bottom line. How can this improve my existing loyalty program? 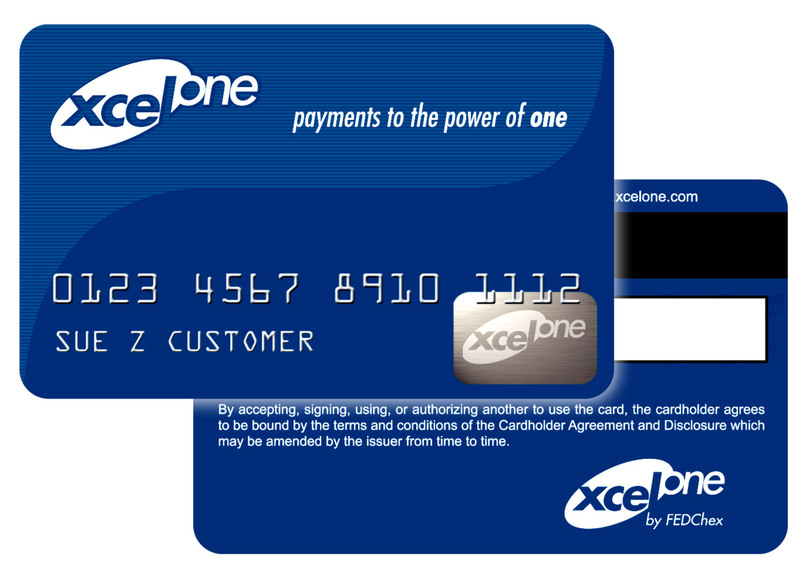 The xcelone card can be integrated with any existing loyalty program. You can opt to pass cost savings on to your customers by providing them with substantial loyalty discounts when they choose to pay using the xcelone card. Some merchants choose to utilize our DelayPay feature which allows them to extend short term credit to their VIP customers. This add-on feature enables your most loyal customers to gladly pay you Tuesday for a hamburger today. The nominal fee associated with this option can be a source of revenue as well as imrove customer retention. What if I don’t currently have a loyalty program? FEDChex acts as a consultant to our clients to determine their (and their customers) specific needs and goals. Based on these collaborated efforts, we are able to create a flexible program tailored to meet those needs. Risk is essentially eliminated since the xcelone card is PIN-based and linked directly to a checking account that the customer designates. As a result, customers feel secure and merchants are able to realize reductions in write-offs and fees associated with returned checks and/or non-sufficient funds. How can this increase my bottom line? *Based on XYZ, Inc.’s small business projections of only 1 million credit card/debit transactions with current industry fee standards, which includes recent data from the Federal Reserve of 50% conversion from credit card purchases to debit card purchases.